Superdry women’s Jerry satin skirt from the Dark Romance collection. This limited edition skirt is sure to become your new wardrobe hero and take your everyday style into new realms. 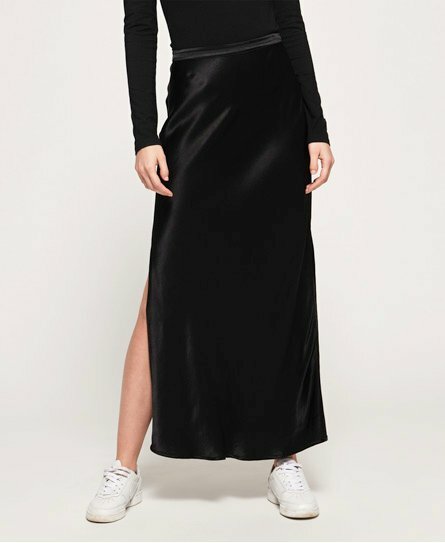 Crafted from beautiful satin that feels oh so luxurious on the skin, the skirt is midi in length and features splits in the side seams. Finished with a side zip fastening, pair with an oversized t-shirt and trainers for a chic and casual look.